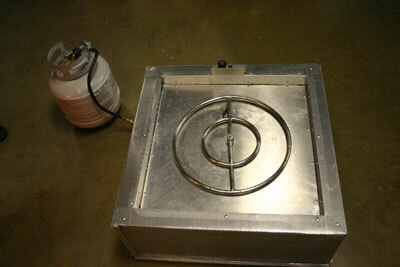 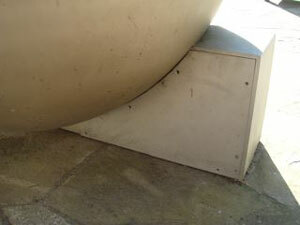 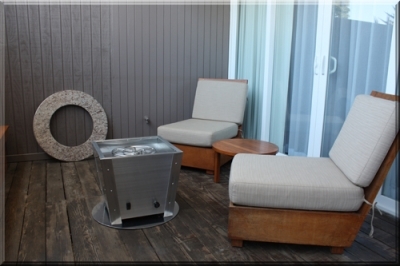 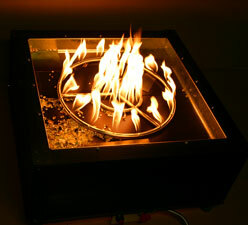 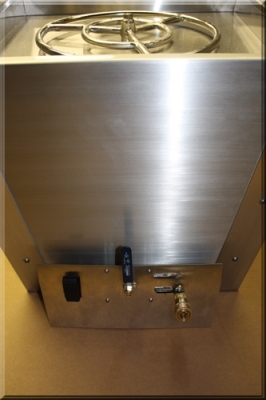 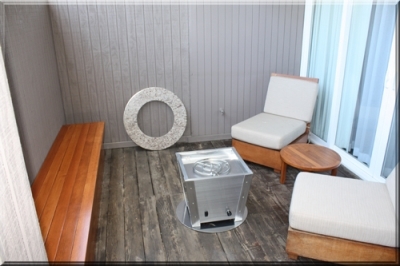 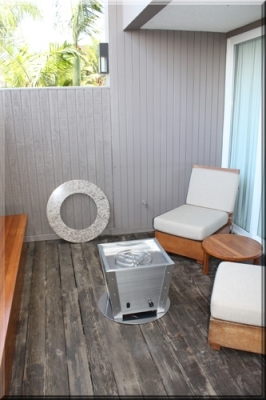 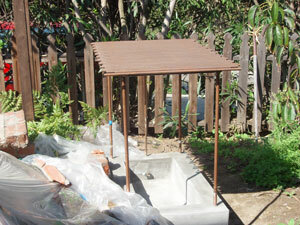 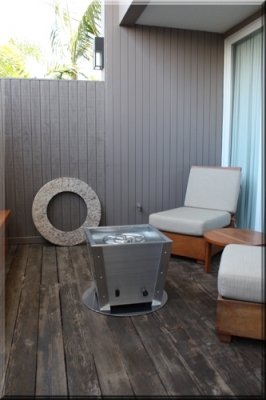 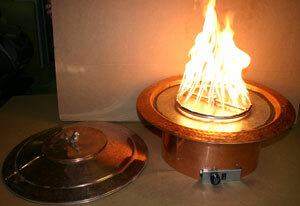 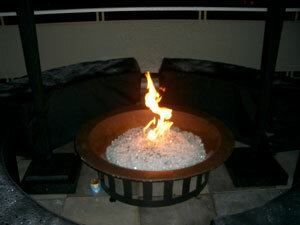 The fire pit below has a "FPPK" propane burner installed and the burners were exchanged out for stainless steel. 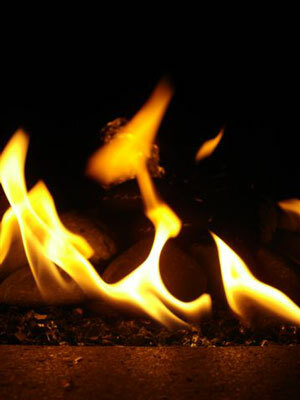 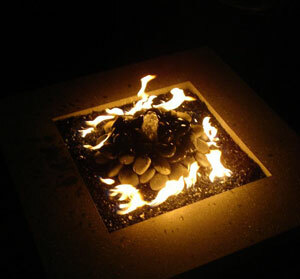 If you were to leave the steel burners in you will eventually have rust pouring out of your fire pit onto the patio which will not look very attractive! 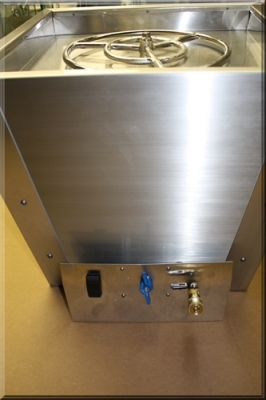 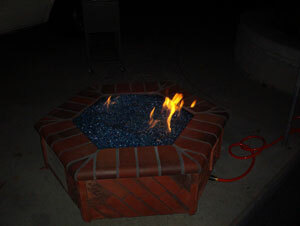 The controls were inside the bottom housing, nice fire pit but almost a big oops. 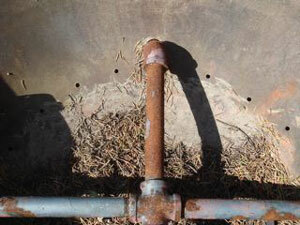 Below you can see the steel ready to rust and make a mess. 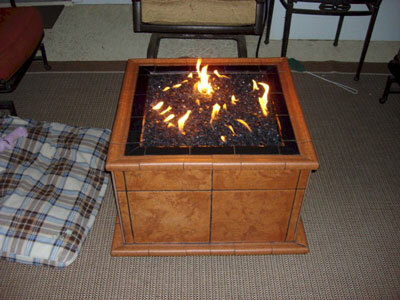 Remember you get what you pay for. 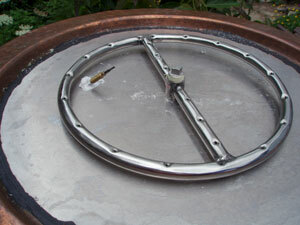 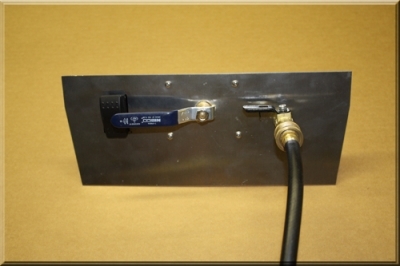 Below you can see where the controls were mounted. 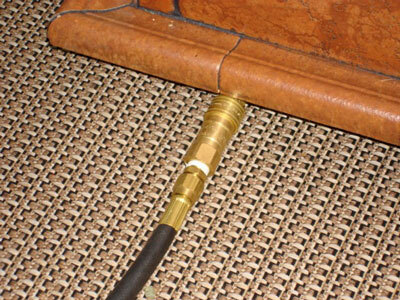 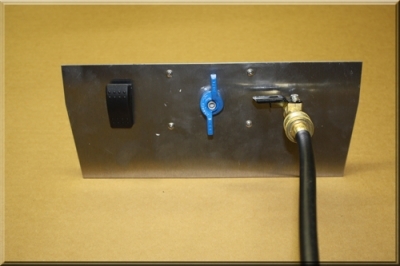 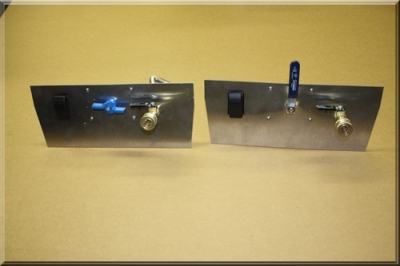 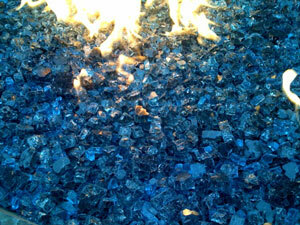 The fireglass used was 1/2" Gray and Ford Blue. 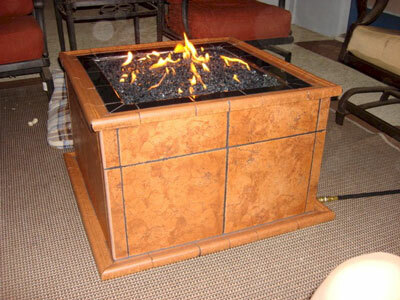 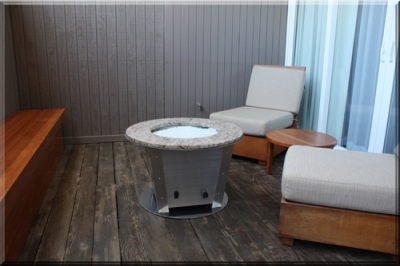 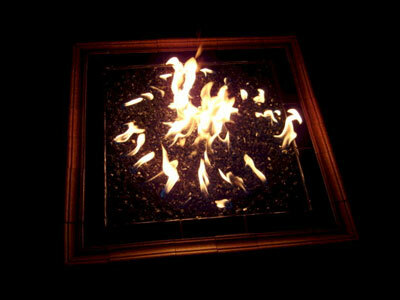 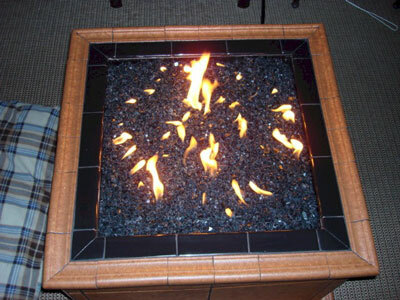 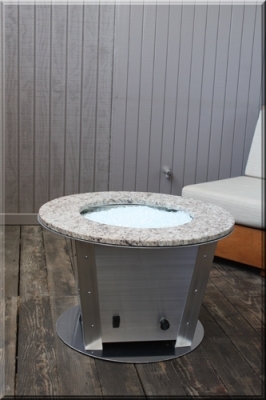 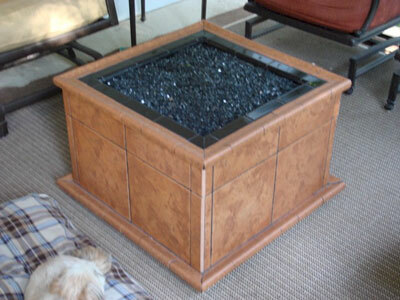 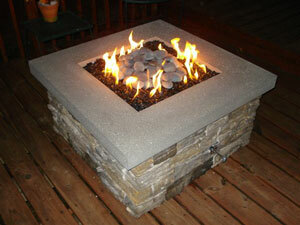 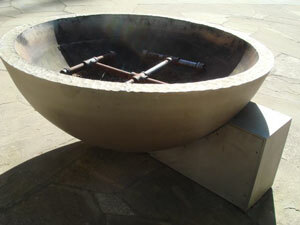 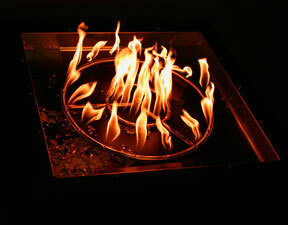 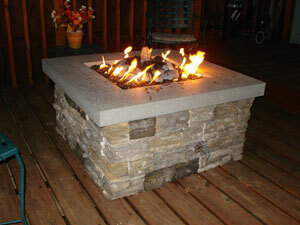 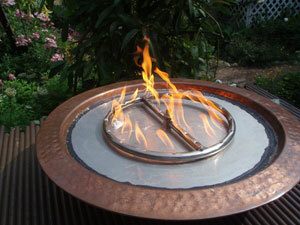 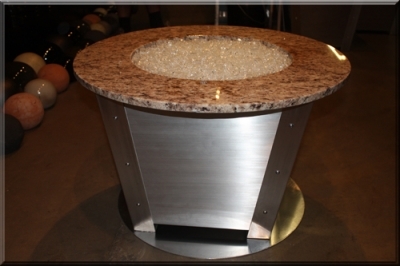 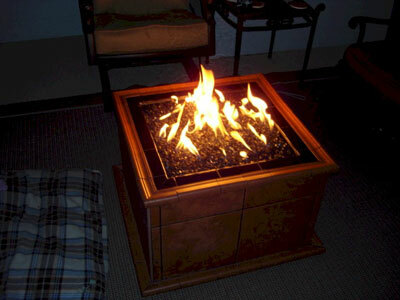 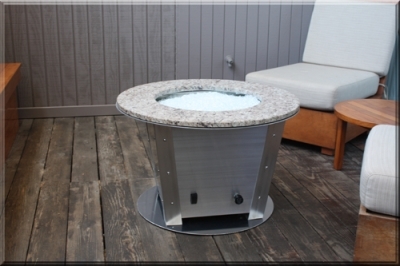 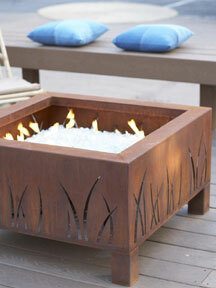 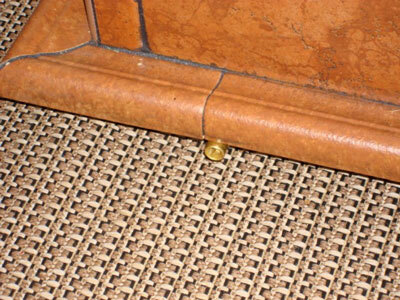 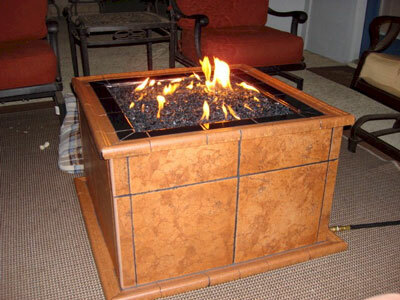 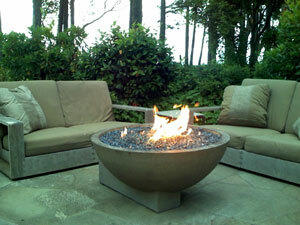 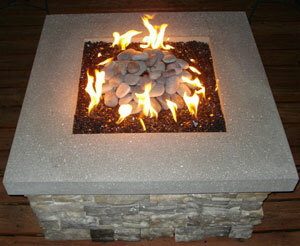 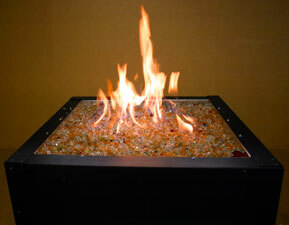 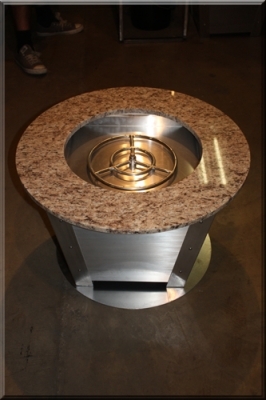 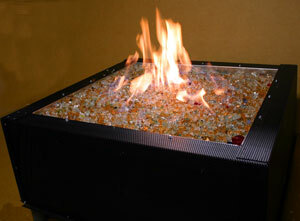 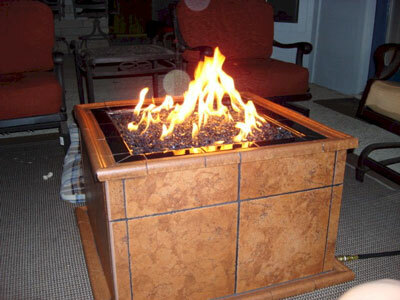 This Patio fire pit has Bronze base, 3/16 Amber, Bronze Reflective and Yellow Topper fireglass. 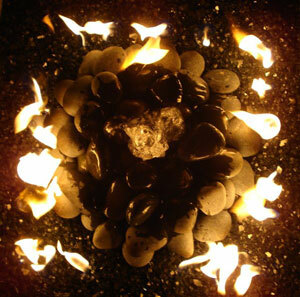 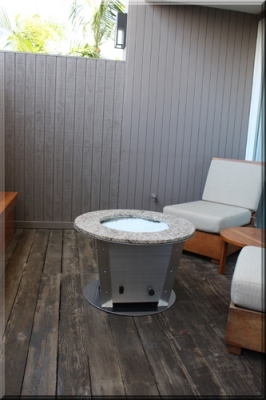 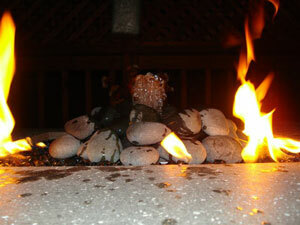 The fire pit below is a fire, rock, glass and water feature. 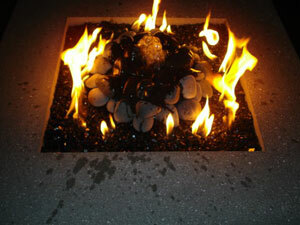 The propane conversion was here in Southern California. 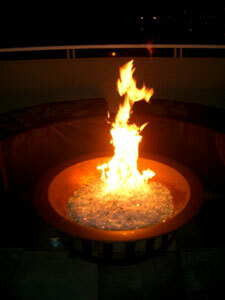 Crista brought the fire bowl and we did the rest. 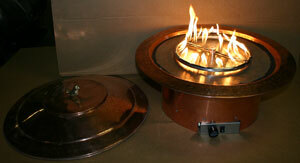 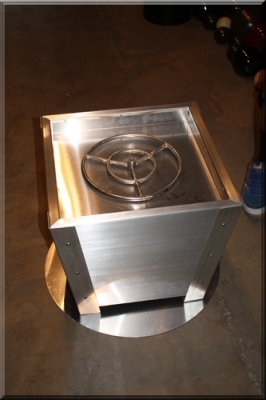 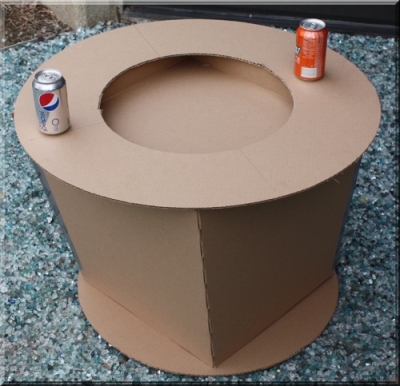 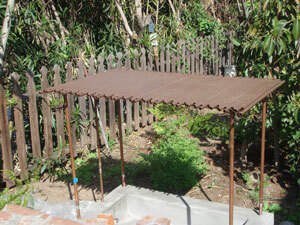 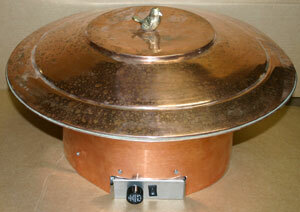 This is the table Crista built to hold the copper fire pan/ bowl. 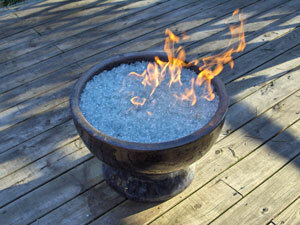 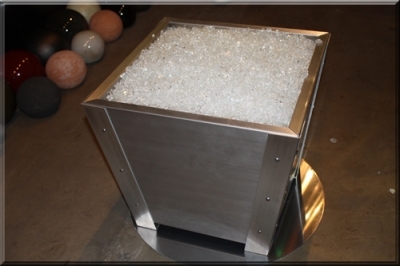 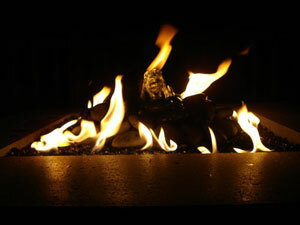 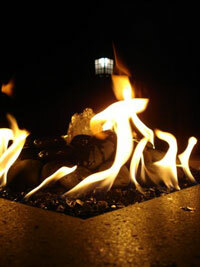 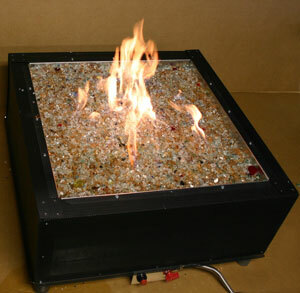 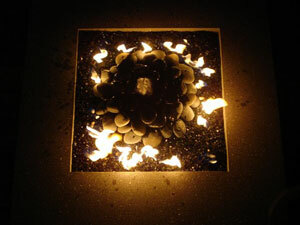 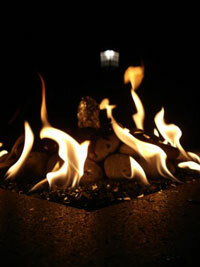 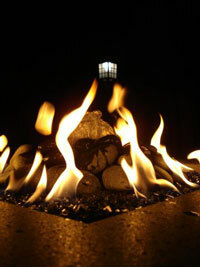 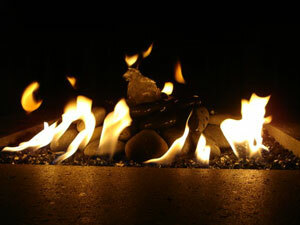 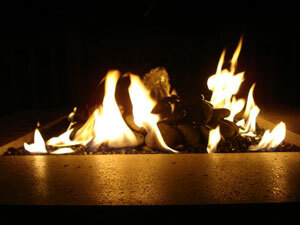 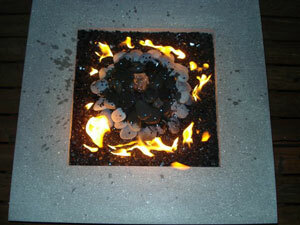 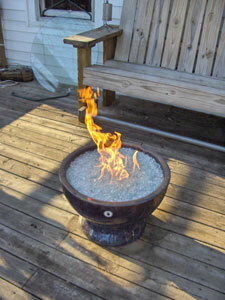 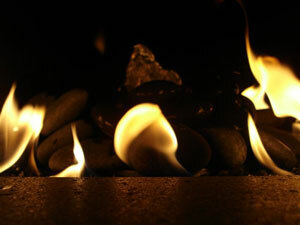 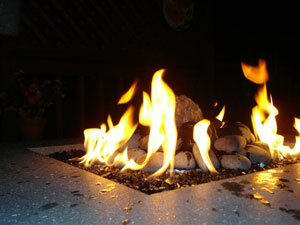 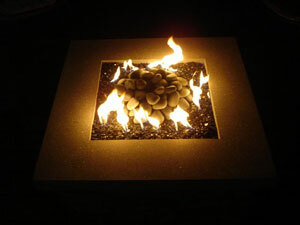 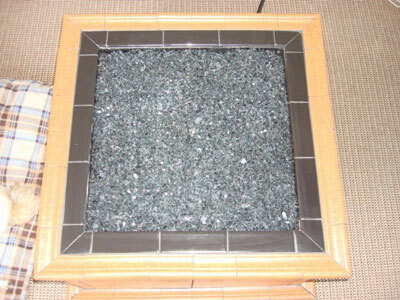 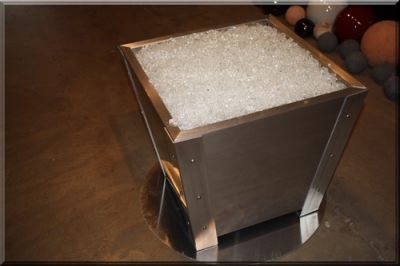 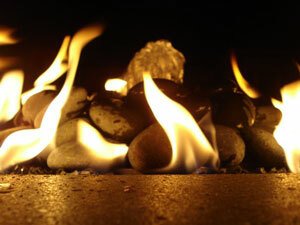 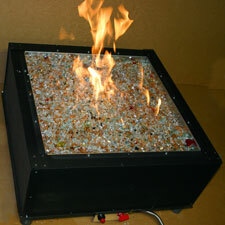 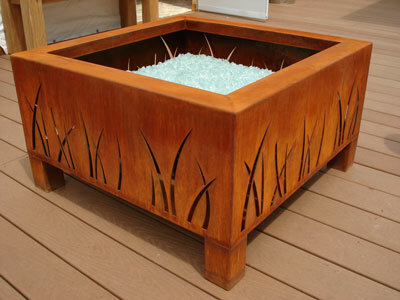 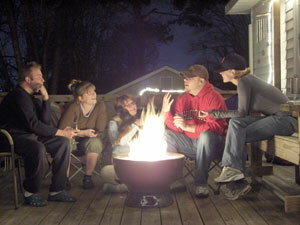 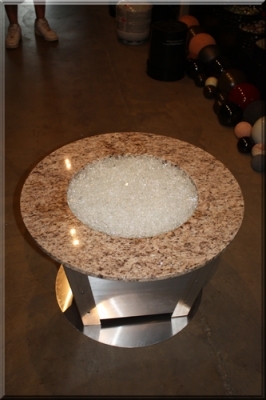 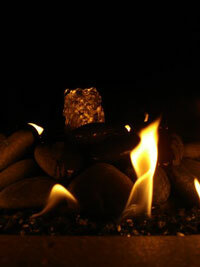 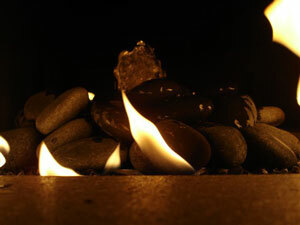 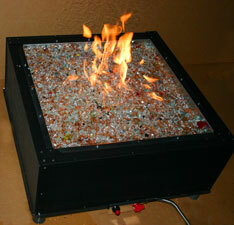 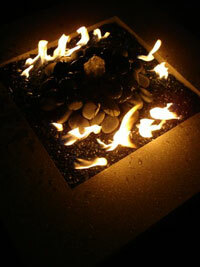 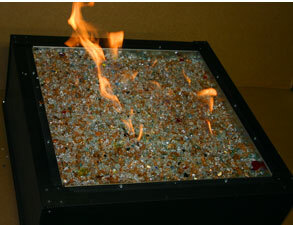 Here is an outdoor fire bowl using Starfire fire glass. 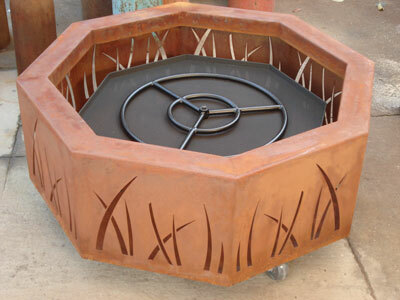 Portable, Beautiful RV Fire Pit.